Hello, i have a question about connecting database to mysql. I change the databaseSchemaUpdate property to false' in thebpm-platform.xml` file. Afterwards i can not open my localhost anymore. Could anyone tell me where i did wrong. Are you seeing any errors in the logs? Thanks for your prompt reply. Where can i check the logs? i am using window 10. Should i give any command to terminal? This is from the log of catalina.2019-04-01 from me. Is this what you mean? 01-Apr-2019 16:29:36.565 SCHWERWIEGEND [main] org.apache.catalina.startup.Catalina.start The required Server component failed to start so Tomcat is unable to start. Caused by: java.sql.SQLException: Unable to load authentication plugin ‘caching_sha2_password’. 01-Apr-2019 16:29:36.595 WARNUNG [main] org.apache.catalina.util.LifecycleBase.destroy Calling stop() on failed component [StandardServer] to trigger clean-up did not complete. It’s clear by this that you haven’t managed to properly connect to you database. Do you know which steps i missed so the connect is not managed to database? Thanks. May we know the version of mysql server you are trying to connect to? Make sure you are using the correct version of mysql connector. The connector i took is mysql-connector-java-5.1.24. @Chingmin_Chen Starting with MySQL 8.0.4, they have changed the default authentication plugin for MySQL server from mysql_native_password to caching_sha2_password . You can run the below command to resolve the issue. Also use mysql-connector of same mysql version. In your case you are using lower version of mysql-connector-java-5.1.24 with mysql database version 8.0.15.0. so upgrade your connector to the same version as mysql db. Thanks aravindhrs for the information. 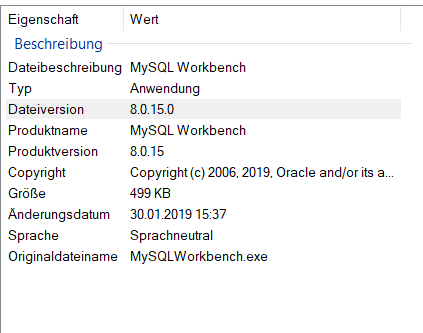 I have changed MySQL server from mysql_native_password to caching_sha2_password as you said and have donloaded mysql-connector-java-8.0.15. I started start-camunda again and it still doesn not work. Attached are the information from the log. It seems that it sill has a lot of problems. I would be very appreciated for advicse to solve this problem. 02-Apr-2019 09:49:03.665 SCHWERWIEGEND [main] org.apache.tomcat.jdbc.pool.ConnectionPool.init Unable to create initial connections of pool. 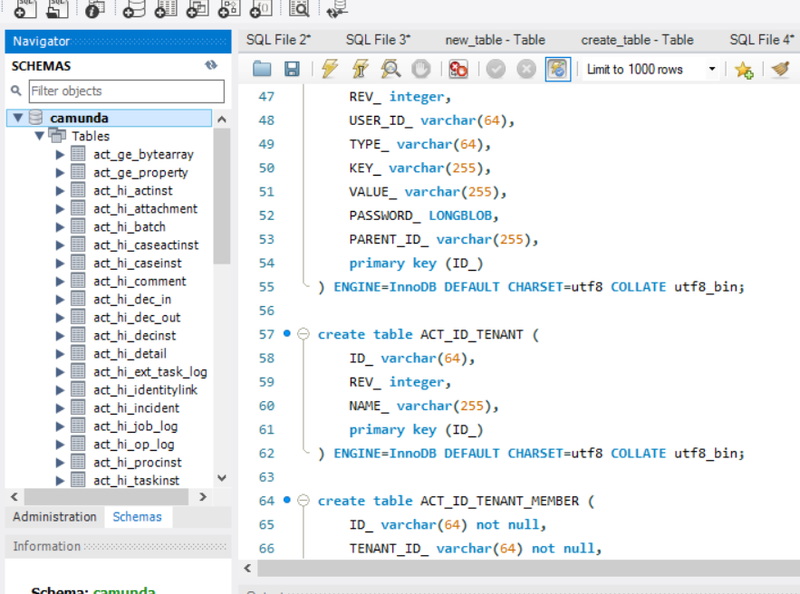 You need to replace the existing mysql connector jar in the tomcat lib folder inside the container with the mysql connector jar which is same version as mysql db.